Yamaha Alpha is the state-of-the-art automatic scooter model from the Yamaha, which was unveiled in 2014.The target audience for the Alpha bike was the family who wished to fulfill their needs with its idea, "Easy to go and high utility city mover". This is the 2nd bike after Ray ZR to get disc brake as an option. After the launch of Alpha, Yamaha gave Indian men a reason to get excited about. Since its launch, it has received a tremendous response due to its mature body architecture and immense technology. There are no versions of this motorcycle available. 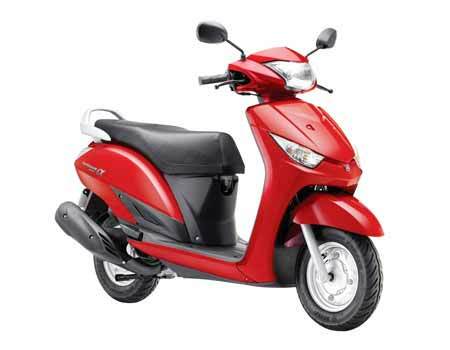 It has 106 cc engine, petrol as fuel and manual transmission. There are 7 versions of this motorcycle with 3 engine, 1 transmission, 1 fuel option and different ex-showroom price.